Work in the spatial field long enough and you’ll reinvent yourself over and over again. I’ve been cleaning up my old blog and it is amazing to me to see how much .NET/VB6/Oracle I used to do. Heck I used to be a big proponent of GeoDesign but not so much anymore. I remember the first GeoDesign Summit as a good time but the latest pictures from 2015 seem to show things have changed. A lot of what we experience clearly affects how we approach our work as we move along in life. 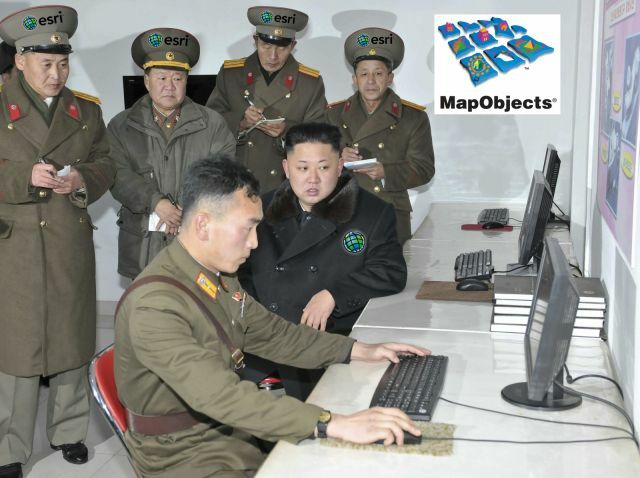 All that fighting ArcSDE has helped me approach PostGIS better. All that fighting the Esri WebADF has helped me work with Node.js better. All that expended capital on GeoDesign has taught me not to be involved with company sponsored community efforts. None of it is lost though, it all helps built the future as to what Spatial IT becomes. The news that Google is shutting down Google Maps Engine definitely caught people’s attention. But Google Maps API continues on and working with maps doesn’t really change. All that capital spent working with Google Maps Engine can just be rolled into the Google cloud platform easily and off you go. Years ago such an announcement would have had people jumping off the cliff but it’s just how applications work these days. Being a GIS developer (whatever that is) has been a crazy ride. Every year you learn new languages, new libraries, new server technologies. That’s why I feel like we’re so lucky to be working in this space. The past year has been Node.js and Angular.js while this year is shaping up to be React and Go. It’s that change that is exciting, fresh and keeps us all working hard. Let the good times roll!